Teaching is one of my passions, and as Program Director of residency training, I teach by example; I keep current with advances in medicine and treat my patients with empathy and ethics. I try to mold each one of my residents into a conscientious and competent future doctor who I would entrust with my own mother's care. Dr. Krishnamurthy is a board certified Dermatologist and a member of the American Academy of Dermatology, and was elected to serve as the National President of the American Osteopathic College of Dermatology in 2016. Dr. Krishnamurthy graduated from the University of Missouri with dual degrees in Biochemistry and Medicinal Chemistry, and received his medical degree from Nova Southeastern University. After his internship at Cook County Hospital in Chicago, Dr. Krishnamurthy completed his dermatology training at St. Barnabas Hospital in New York City, where he served as Chief Resident. Dr. Krishnamurthy then joined the academic faculty as Associate Professor at the Albert Einstein College of Medicine in New York, where he served as Chief of Dermatology for Jacobi Medical Center, the largest public hospital in New York City, and created a cosmetic and laser dermatology program at Montefiore Medical Center, serving as its Director. Devoted to education, he trained residents daily, and was awarded “Teacher of the Year” in 2014. Dr. Krishnamurthy’s committment to leadership and research has been recognized by the Kenneth Burnell Research Scholarship, Intendis Research Award, Allergan Research Grant, New York Academy of Medicine, and American Academy of Dermatology. Paralleling his academic pursuits, Dr. Krishnamurthy was the recipient of the 2011 Academic Dermatology Leadership Program and the 2012 Editorial Mentorship program, both granted by the American Academy of Dermatology. In addition, he serves as Editor-in-Chief of the Journal of the American Osteopathic College of Dermatology, has published in prestigious journals and tests, including the Journal of Investigative Dermatology, the Journal of the American Academy of Dermatology, and Dermatologic Surgery, and co-authored the textbook “Emergencies in Dermatology” (ISBN-13: 978-1461450306). 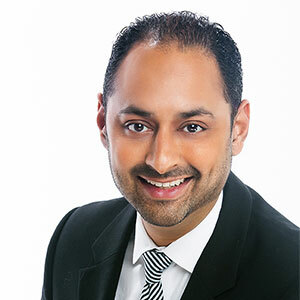 Given his exposure to the varied culture, ethnicity, skin-types, and demographics in New York City, Dr. Krishnamurthy is an expert in complex medical dermatology, especially psoriasis, vitiligo, auto-immune diseases (lupus), and phototherapy/excimer laser, as well as dermatologic surgery, nail surgery, earlobe repair, and cosmetic/injectable/laser dermatology. He is often called upon as a media expert, contributing to The New York Times, The L.A. Times, Washington Post, WebMD, CBS News, Yahoo News, Good Housekeeping, and Weather.com. He relocated to Greater Jacksonville with his wife, Dr. Aneesa Krishnamurthy (Rheumatologist) and twin sons. In line their passion for teaching, Dr. Krishnamurthy and Dr. Schmieder began the fully-accredited Dermatology Residency Training Program at Park Avenue Dermatology in 2015. This tremendous accomplishment elevates the environment at Park Avenue Dermatology through the daily duties of educating future dermatologists to send out into the physician workforce. Click here and listen to Dr. Karthik Krishnamurthy and Dr. Ferrer on WOKV's "Ask the Doctor".